Both NSU and NCCU have dropped games to MEAC leader FAMU, so neither can afford a loss. Very few people outside of Tallahassee would have picked FAMU to be on top of the MEAC in mid-October this year, and certainly not us. We did, however, predict that October 20th might be when the separation occurs and its looking like that could be the case. Several of our “Games To Watch” for the season were set for this date, and they still could play a big factor in who wins. What we said then: If you don’t remember, Norfolk State defeated NCCU last season. The loss slightly derailed the Eagles until they completely derailed by losing their last two games of the season. In last season’s game, NCCU was shut out 21-0 at halftime. They scored 21 points but another NSU TD pushed NCCU away from the win. Preseason all-American LB Nigel Chavis will try to shut down the NCCU rushing attack. Marcus Taylor will be looking to damage NCCU’s defense like he did last season. Taylor had eight receptions for 132 yards and two touchdowns from freshman Juwan “Pootie” Carter. NSU’s home field advantage will be tough as NCCU walks into Norfolk on their homecoming. 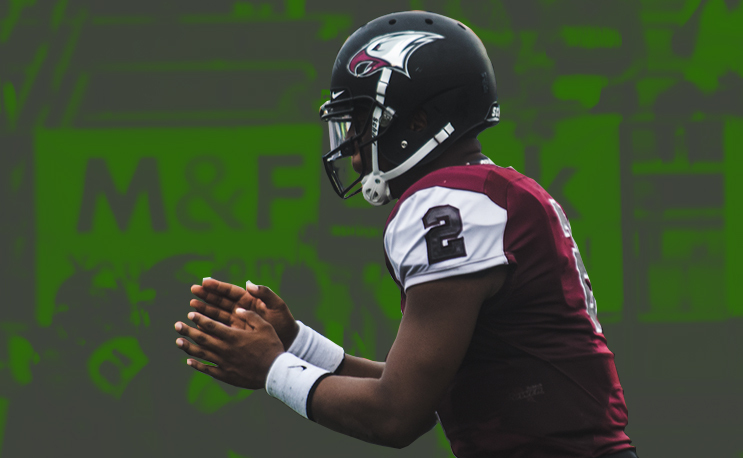 Will NCCU crash the party or will the Spartans slash the Eagles title chances? What we say now: Both teams come into this game with just one MEAC loss, both of them to FAMU. NCCU was blown out, while NSU’s offense was choked out two weeks ago. Quarterback play will be key in this one as Chauncey Caldwell is coming off his best college performance while Carter is coming off his worst. Norfolk State has some weapons at receiver in Marcus Taylor and Isaiah Winstead, and NCCU has been vulnerable against the pass, allowing Ryan Stanley and Caylin Newton to pick them apart in back-to-back games. The loser of this game will be pretty much playing for pride as two losses, including one to FAMU, pretty much eliminates either team from clinching all (or likely any) of a MEAC title. South Carolina State picks up talented local product on the backend of recruiting. Howard’s Jequez Ezzard is the most explosive receiver in the FCS, and maybe all college football.